FUSION Gyms are the proud sponsors of this year’s Amman Valley Triathlon. These T-Shirts are a great way to market your brand. Their support was vital in ensuring that Healthy Life Activities were able to stage a high quality Triathlon for over 120 athletes who made the trip to the Amman Valley. 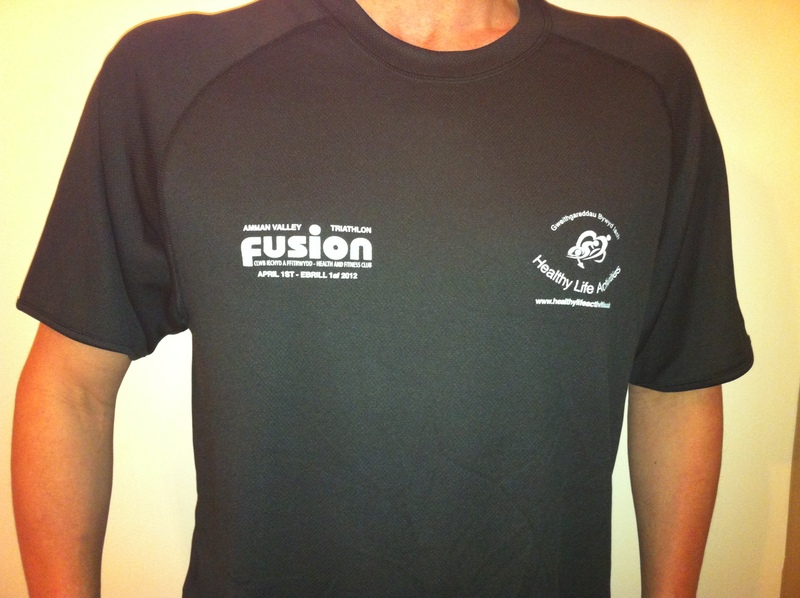 Whether you want to get into shape, lose a few pounds, improve your heart rate or stay fit for the coming season, Fusion is the place for you. Located inside Amman Valley, Carmarthen, Llanelli and Newcastle Emlyn Leisure Centres, Fusion has been designed and equipped to provide a balanced health and fitness programme for all types of people regardless of age, gender or fitness level. With a relaxed atmosphere, Fusion has an extensive range of modern cardio-vascular equipment that will help improve stamina and weight loss as well as weight resistance machines that help tone and define muscle. 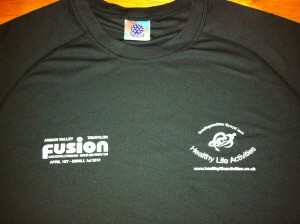 Joining a health & fitness club can be a daunting task, but the Fusion team will make you welcome and relaxed. Each customer is taken through an introductory session in which we will measure your current level of fitness as well as the “why’s” and “how’s” of using the equipment. When this session is completed, you will be provided with your own personal exercise programme as well as the confidence and knowledge to exercise safely. Platinum Saver – £28 (CCC employees and affiliated companies/organisations only.